Ever since Nikkei opened up in Rada, I always wanted to try it. However, when I heard about how expensive it was there, I lost enthusiasm. Thankfully, my high school friends decided to have our mini catch-up there just this week, so I was compelled to finally give it a try. 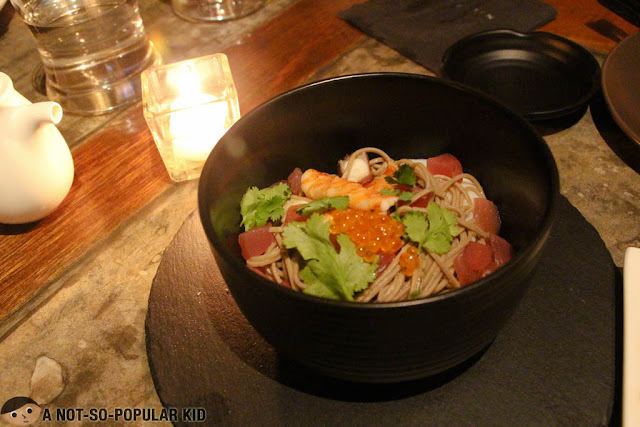 In this blog post, I will be sharing with you our dinner experience in this posh restaurant. The restaurant breathe sophistication. Just by taking a glance from the outside, you'll already get the feel of it. It's an ultimate posh chill place -- from the dim lights to wooden overall. It was built to be cozy! This is why the place makes a great candidate for date nights and intimate conversation with friends. By the way, I would like to apologize in advance with the photos. The area was dimly lit, which made it difficult for me to take decent photos. 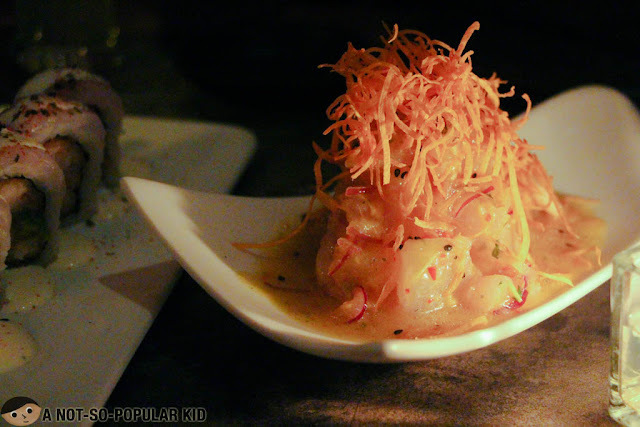 Nikkei offers fresh and modern concept with infusion of Peruvian influence over traditional Japanese dishes. Expect a touch of colors and extra flavors. For the night, we ordered several dishes for tasting. The Parmesan Scallops (P280) was extravagantly priced, but admittedly it was so good! 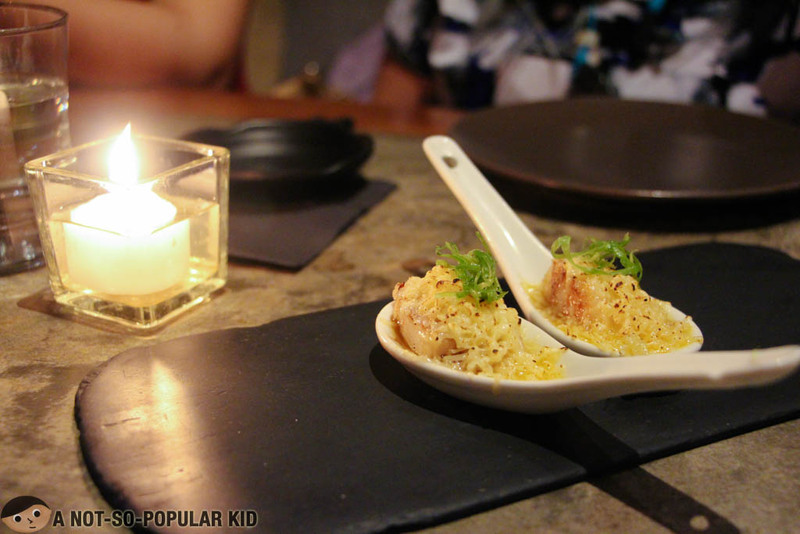 The scallop itself was immensely fresh with its taste enhanced by the parmesan. 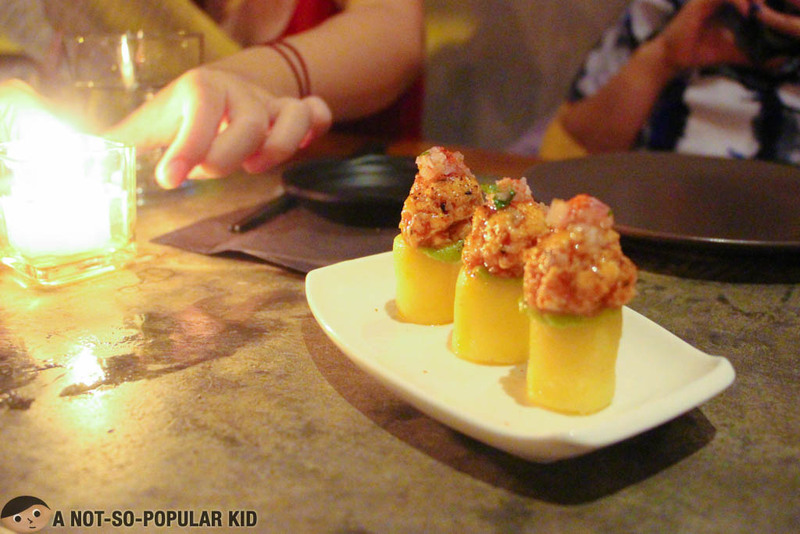 The Salmon Causa Appetizer (P180) is a good dish for those who are into potatoes. Unluckily, I'm not a big fan of potatoes (well, except for french fries and mojos), so I had some hesitations. However, when we disregard the potato beneath, I was able to appreciate the mixture of flavors imbued to the salmon such as the guacamole. 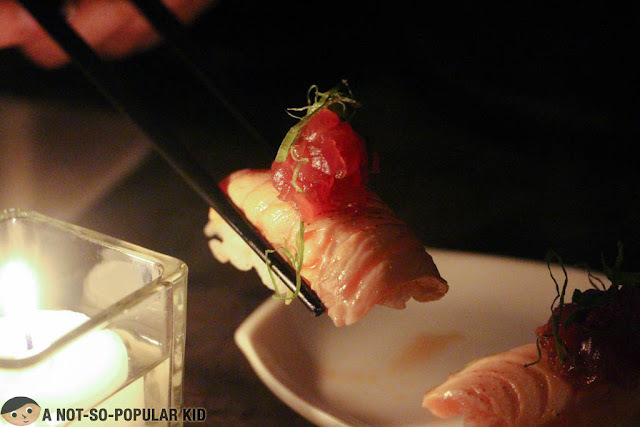 The Aburi Salmon (P180) was a palatable treat! Flavors explode in the mouth marked by velvety texture and eventually leaving a good seafood impression. 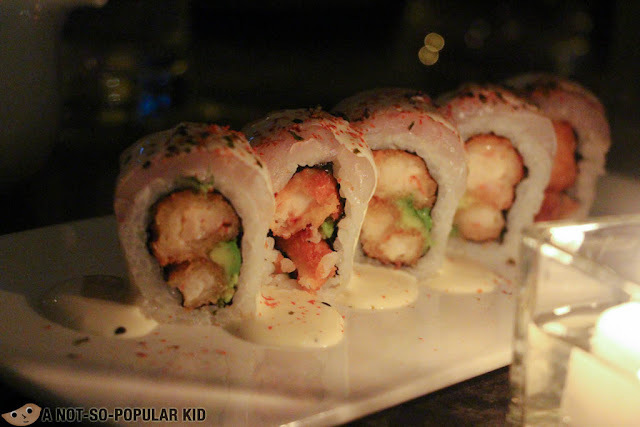 The Ebi Furai (P295 for 5 pcs) was a barkada favorite. The crispy tempura within the roll together with the other components (i.e. avocado, sauce, etc.) was overflowing with flavors that burst in the mouth. Thankfully, there were 5 pieces since there were 5 of us during the night. The Classic Ceviches (P320) featured white fish that was smooth at initial bite then goes a bit dense and slimy after. I found it a bit odd, but in a neutral way. The taste is similar to a kinilaw but with more diverse flavors. 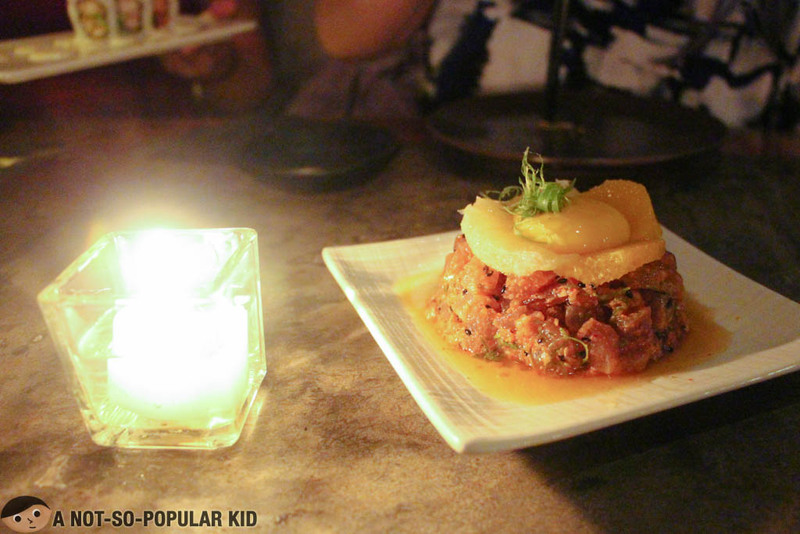 The Spicy Tuna Tartare (P395) was your typical tartare with a combination of spiciness and citrus flavors. It's also mixed with playful textures from the egg yolk. Overall, it was fine, but I suggest you try other dishes. The Soba Salad (P320) was refreshing although the price was surprisingly high. It got this mix of seafood treasures such as shrimp, tuna, octopus and etc. Overall, it was just fine, but I would still go for other dishes. 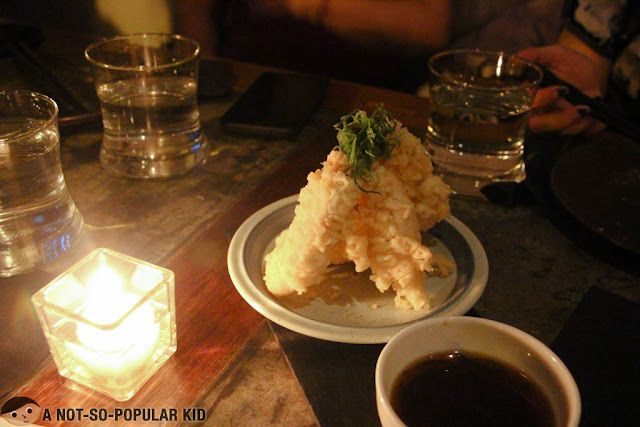 The Salmon Belly Tempura (P450) is something you may want to skip. Don't get me wrong. It was still good with its crunchiness and light salmon taste. However, given the price here in Nikkei, it's better to allocate your budget to better tasting dishes. 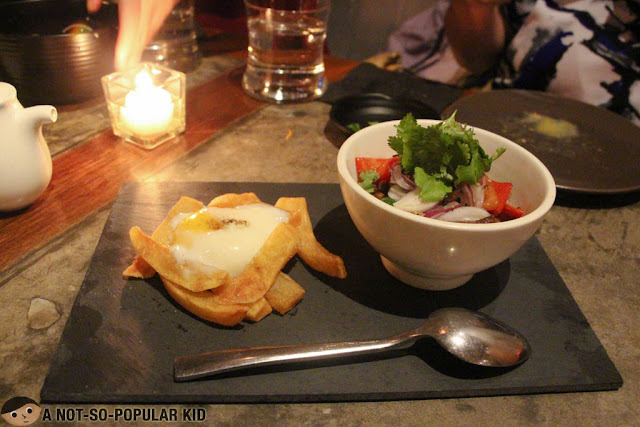 The Lomo Saltado (P480) was another barkada favorite! The concept of the fries and poached egg was unique and unexpectedly fantastic. Best of all, the tenderloin (which my photo didn't give justice to, since it's not that visible) was beyond tender. It was fluid with its sheer smoothness. 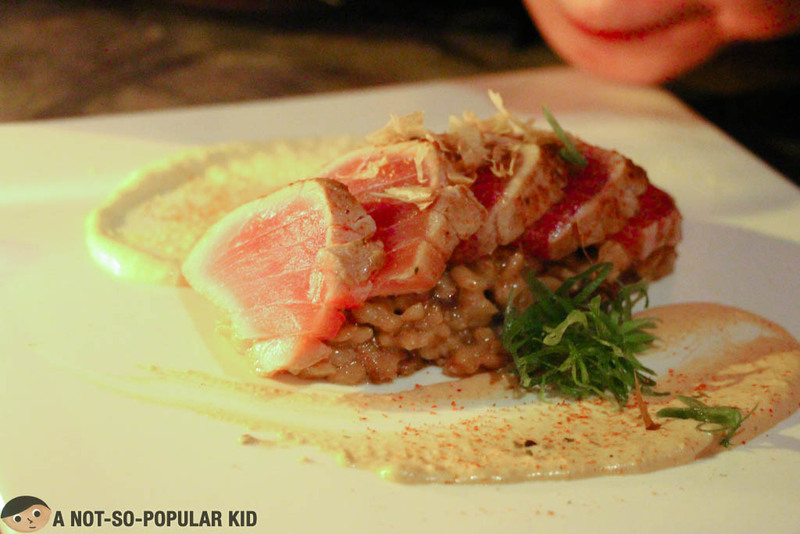 The Seared Tuna w/ Sea Urchin Risotto (P680) was a majestic spectacle! The seared tuna was of prime quality and the risotto was overflowing with immense flavors, a mixture of seafood essence and savory saltiness. Totally the bomb. In fact, it's our common top 1 dish for the night. 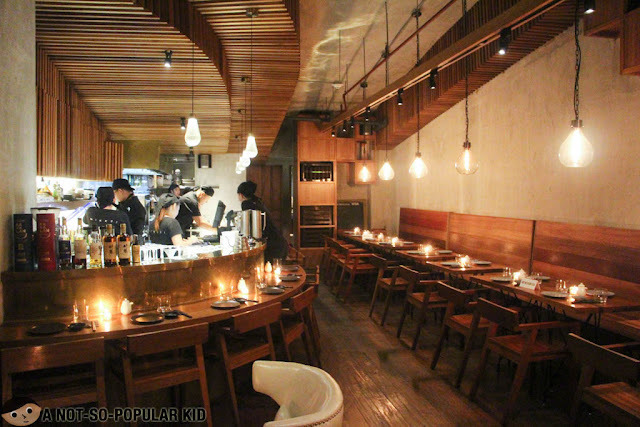 Nikkei is a fancy Japanese-Peruvian restaurant you can find along the bustling street of Rada. You will be experiencing a wave of modern flavors with the infusion of Peruvian concept -- tastes are bold, refreshing the interesting. 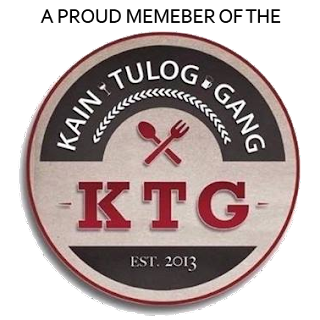 Unfortunately, the dishes are generally pricey, and honestly some may not be totally worth the price, but I guess it's the ambiance and experience you are truly paying for. 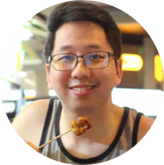 Hence, I am hoping that this blog post will be useful in helping you pick among the wide variety of dishes in its menu.